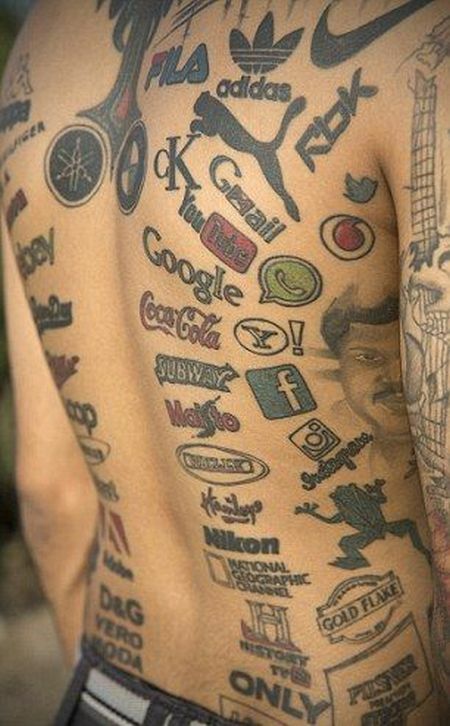 Meet Jason George. 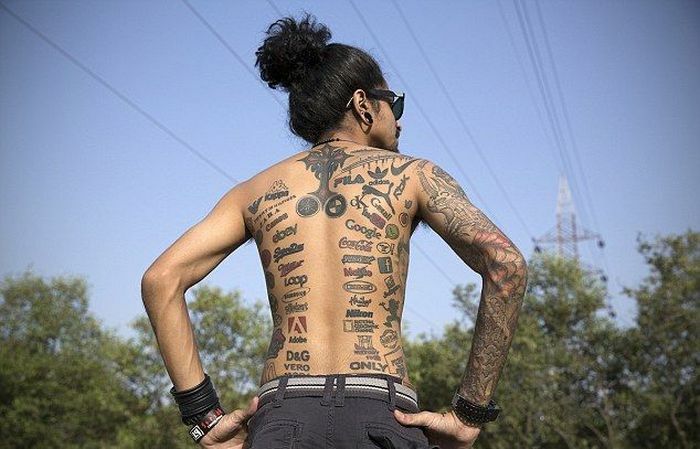 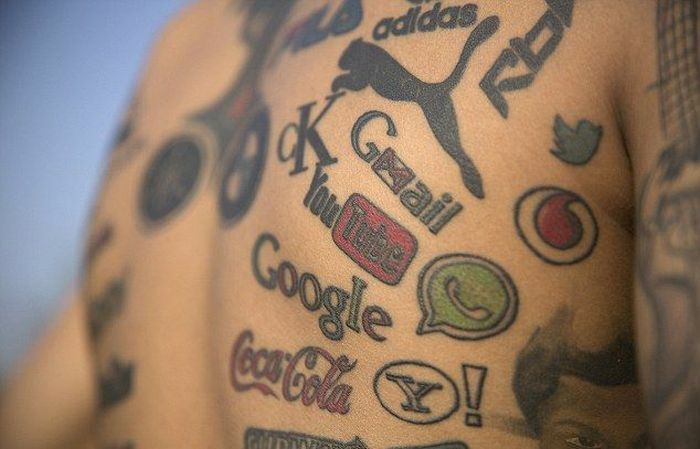 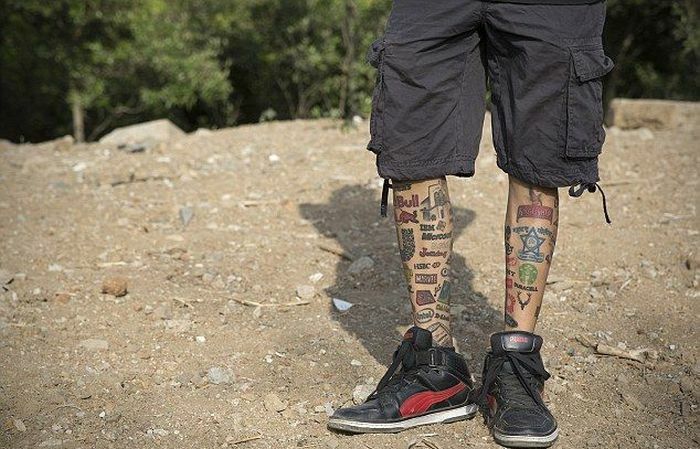 He's a 23 year old tattoo artist who lives in India and he's decided to break the record for having the most brand logos on his body. 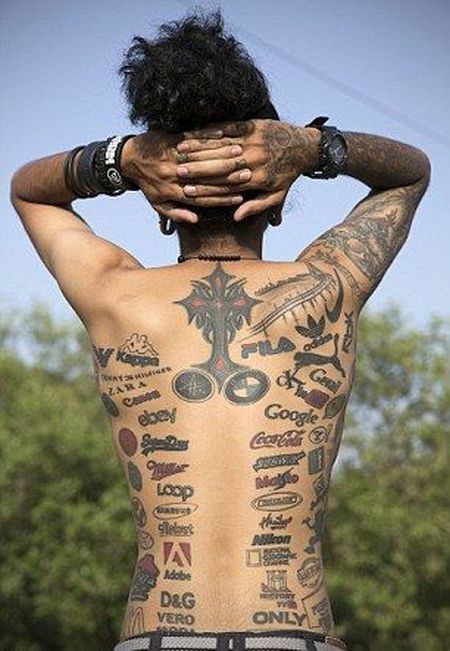 He currently has 189 logos but he plans on getting more tattoos so that he can reach 321.
ad block is strong on my laptop today!